Want to find out what learning to fly is all about? 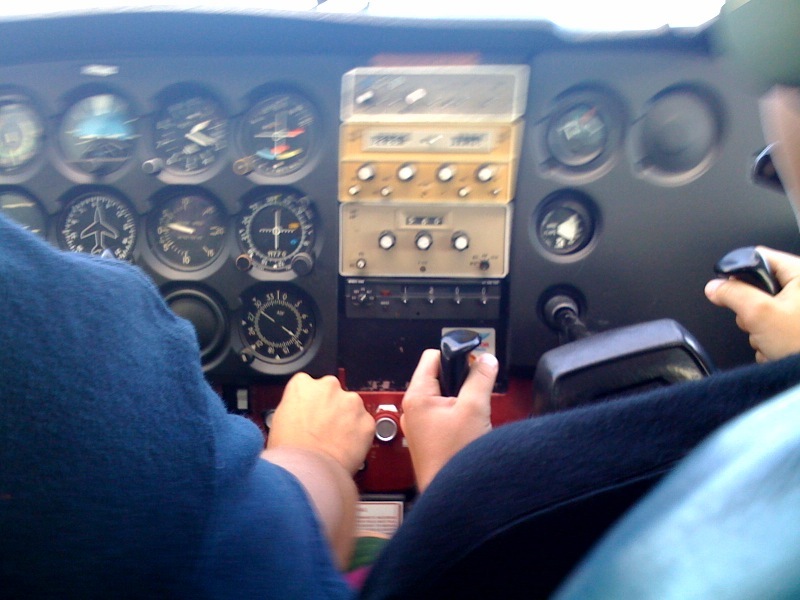 How about getting your hands on the controls under the expert supervision of a Flight Instructor? Than an Introductory Flight is what you want! Introductory Flights are a great way to discover the joy of flying without much commitment to time or money. At an amazing price of $150 +HST, you get to take your very first flying lesson where you are the pilot in control of the aircraft! When you come in for your Introductory Flight you will meet with your Flight Instructor where you will sit in on a Pre-Flight Briefing. There you will be introduced to the exercises you will be performing during you flight! Your Instructor will talk to you about Pitch, Bank and Yaw, Climbing and Descending, how to maneuver the aircraft while looking outside at the horizon and some safety considerations for the flight. From there you will head out to the aircraft for a pre-flight inspection. Check the Fuel and Oil, make sure the aircraft is ready to fly, then hop in and get ready for an amazing experience. Once airborne your Instructor will hand over control of the airplane to you, and that is where the real fun begins! There are a number of exercises that pilot’s go through on their way to getting a licence, and you will be introduced to a bunch of them. Depending on your comfort level, your Flight Instructor will custom tailor the flight to show you a short glimpse into the world of flight training! After about 30 minutes in the air you will return for landing, where you will again sit in for a Post-Flight Debriefing to talk about the flight, what went well and what you can consider if you wish to continue any additional training. Where you go from there, is entirely up to you, just know that whatever your desires are in aviation, Owen Sound Flight Services can take you there! WARNING! After this Introductory Flight, you might just be HOOKED! Book your Intro Flight today and start flying! Want more than just an introduction to flying? How about an Adventure Flight!!! Now we’re really getting into something thrilling!